My signature drink is usually cranberry and vodka, but once in a while I like to change it up a bit. Using white cranberry juice instead of regular cranberry juice was an ingenious exchange if I do say so myself. This cosmo has definitely become a new fave of mine. It is fruity and sweet, just like I like it. My favorite part of the drink are the frozen cranberries dredged in sugar. It really makes the drink look festive! This recipe makes 2 to 3 drinks. I tripled this recipe and put all all the ingredients in a pitcher to serve at a party and that worked too. Just make sure you keep the cranberries on the side so that the sugar doesn't float to the bottom of the pitcher. 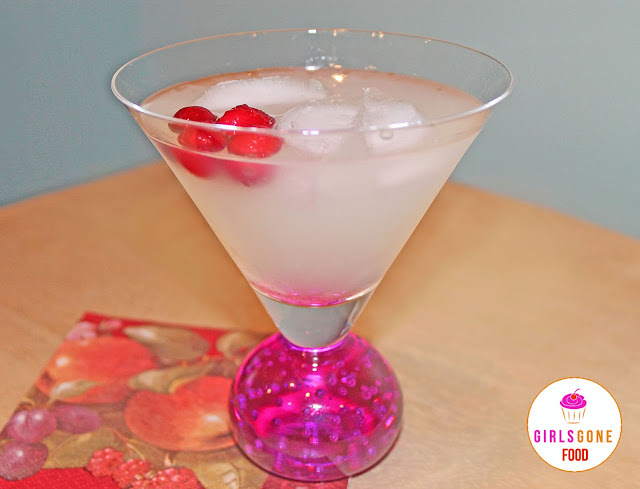 Make the cranberries at least 3-4 hours before you are planning to serve the drinks. 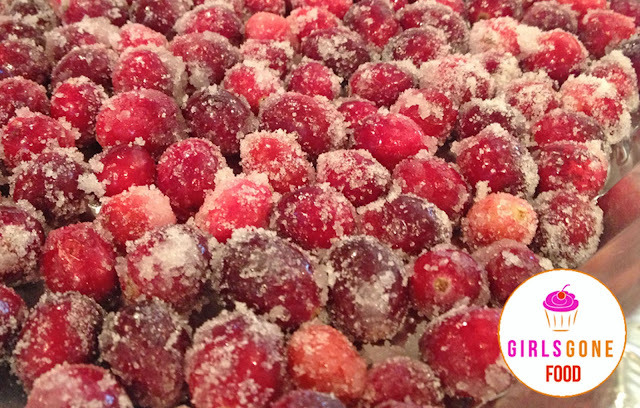 To make the cranberries, rinse the cranberries with water. While they are still wet, dredge them in sugar. Spread them evenly on a pan and freeze for 3-4 hours. Fill a martini shaker with ice. Add the cranberry juice, vodka, cointreau, and lime juice. 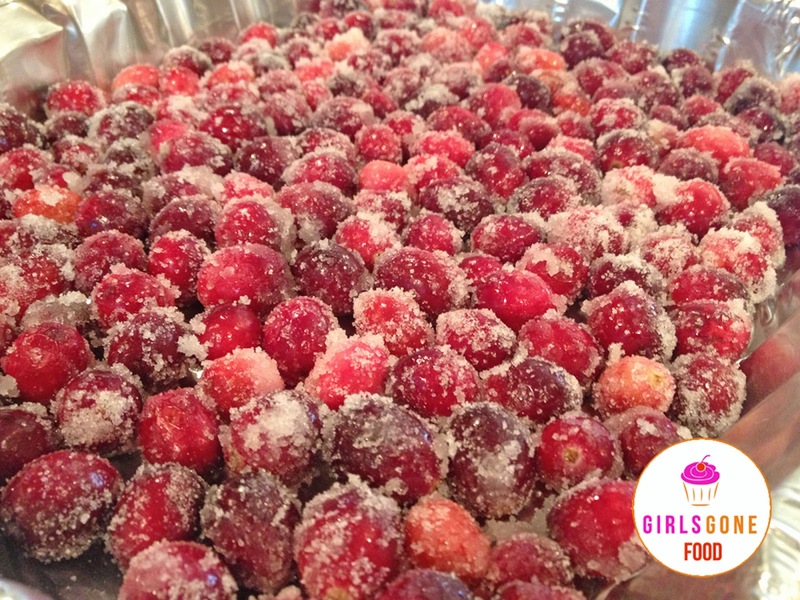 Add ice and garnish with the sugared cranberries.